Whether you have a big garage or own a titanic cold storage, check out our automatic insulated sectional doors that come with advanced control options, outstanding insulation benefits and a detailed programming manual. 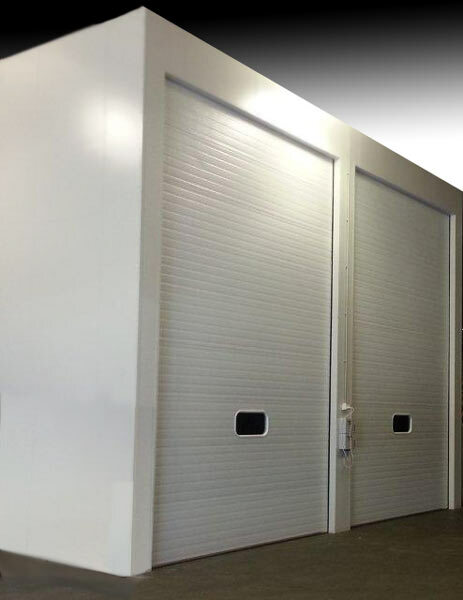 Our automatic insulated doors are fitted with sectional door panels available in 42mm for temperature applications above 0° and 80mm thick below 0°. 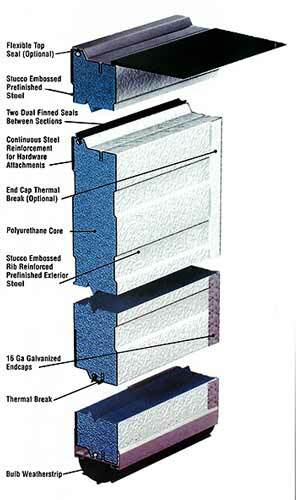 At Austcold Industries all our products are of exceptional quality and are available at a very competitive price. Feel free to contact us at 1300364616 or drop us a line, and we will get back in touch with you shortly. We will be happy to help you. 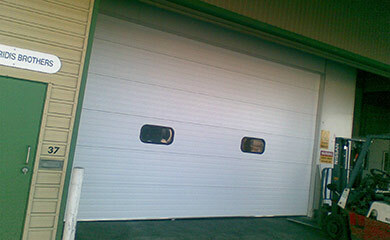 – Panels – Sectional Door Panels are available in 42mm for temperature applications above 0° and 80mm thick below 0°. – Wind Loads – able to withstand wind pressures of up to class 3. – Low Maintenance – high quality components and robust design. – Advanced Digital Control Options – capable of interlocking with other doors, traffic lights and more (optional). 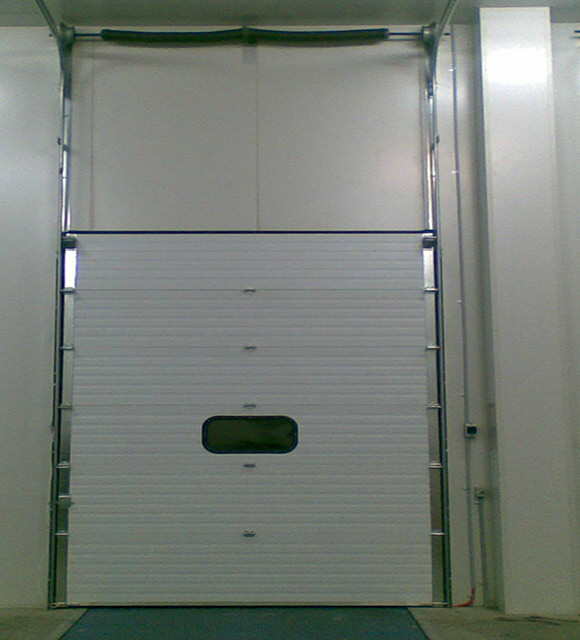 – Spring Torsion Mechanism – the weight of the Sectional Door is counter-balanced using a powerful spring torsion mechanism. – Sound Isolation – provides up to 22db of sound isolation. – Panel Options – constructed with a; polyurethane 100% CFC free core and galvanized steel sheeting, providing a tough, weather-resilient finish. – Scratch Resistance – the Sectional Door Panels are constructed with a synthetic glazing with superior scratch resistance properties. – Swinging Personnel Doors – are available (fitted to allow foot traffic access while the door is closed), maximizing energy efficiency and savings. Single phase supply of up to 10 amps is generally sufficient for most Sectional Door motors. 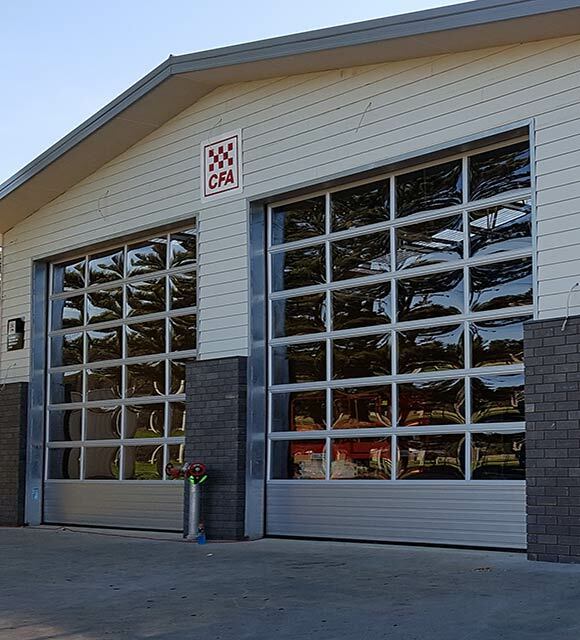 These, robust Insulated Sectional Doors provide outstanding insulation benefits, advanced programming and control options, together with exceptional quality and performance. They are suitable for internal and external applications for door openings up to 10 metres wide and 8 metres high. 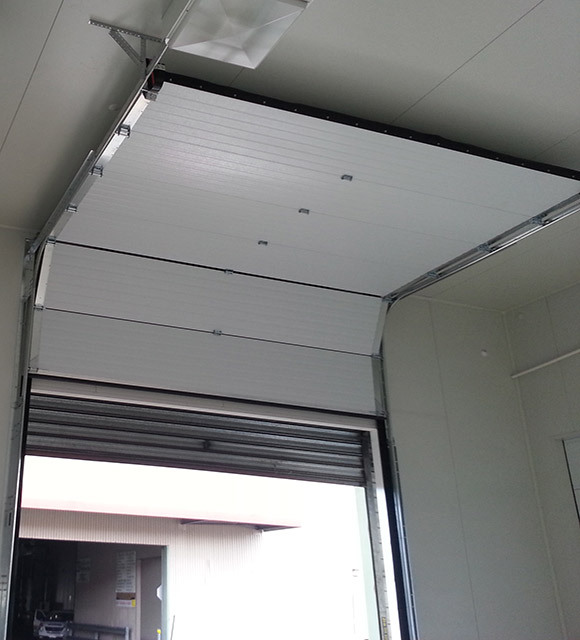 Install one of these Automatic Insulated Sectional Doors from Austcold Industries when temperature isolation is required. Suitable for Cool Room door, Freezer Room door, Garage Door, and Factory door applications with temperature and sound insulation properties.